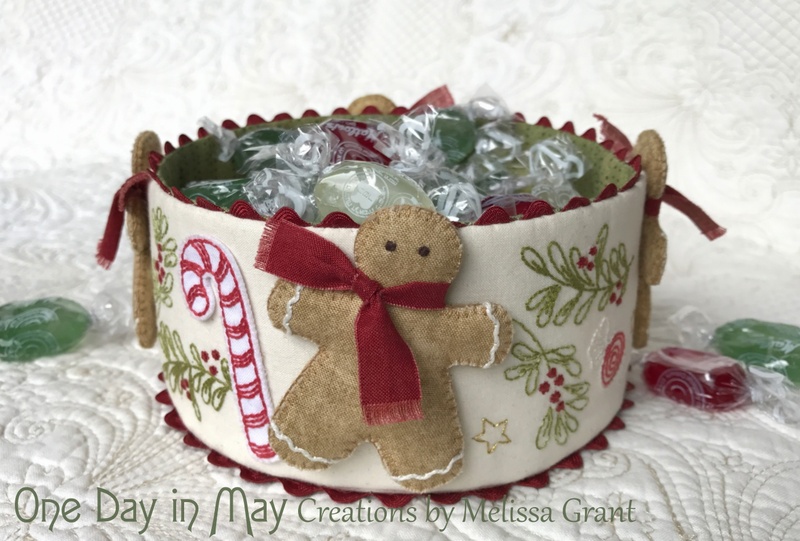 – A sweet, dimensional bowl to adorn your Christmas table. 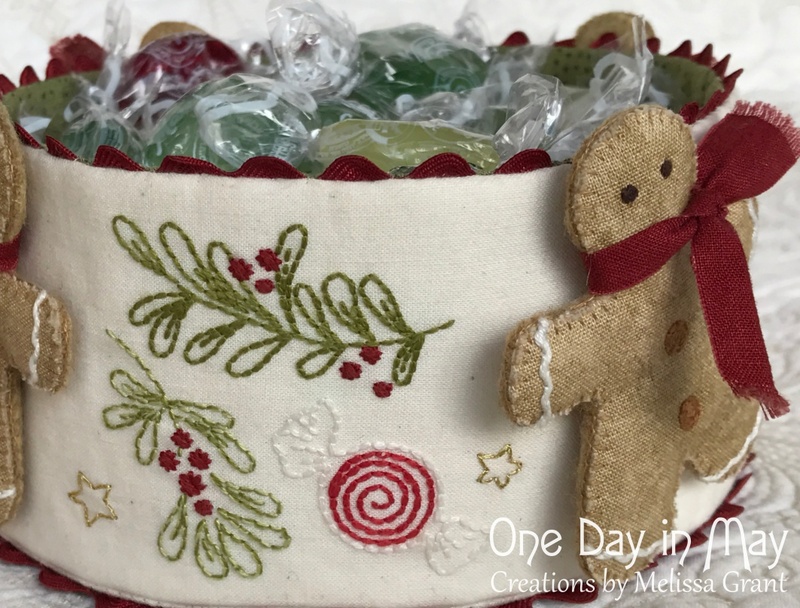 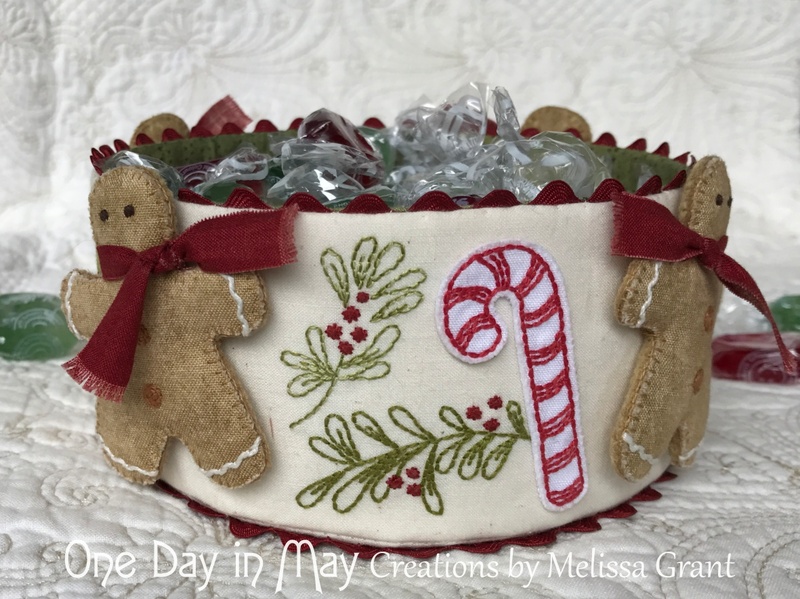 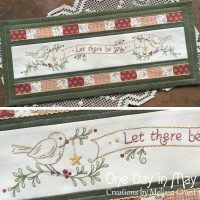 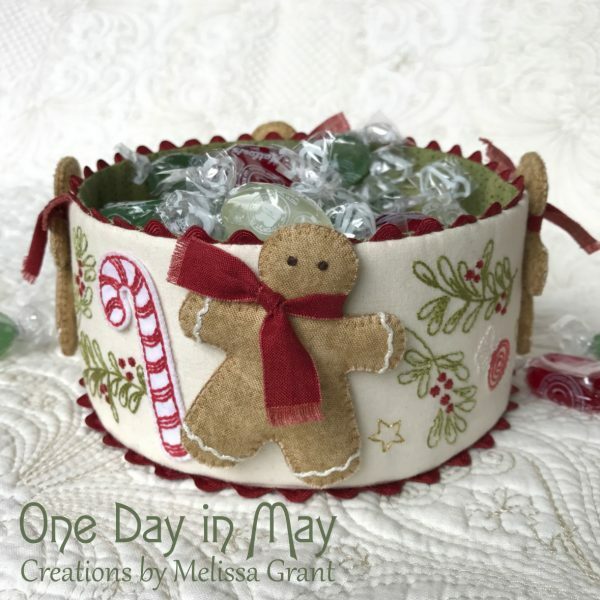 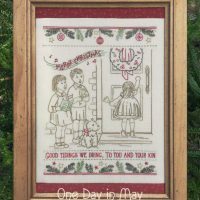 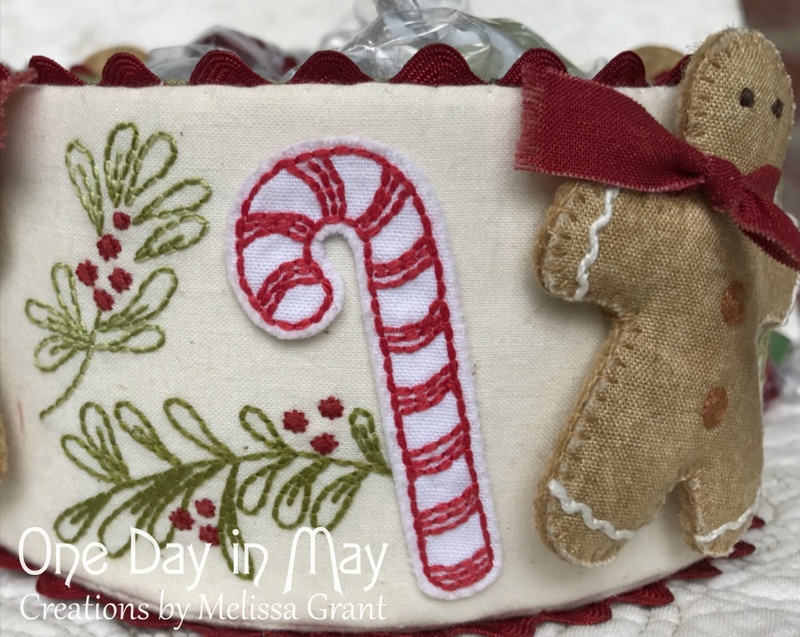 This small festive project features embroidery, embellished with dimensional gingerbread men and double-sided fabric candy canes. 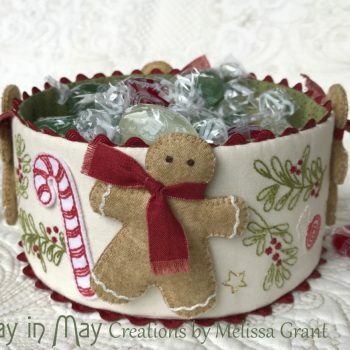 The bowl is lined with a contrasting fabric and has an optional edging of ric-rac at the top and bottom. 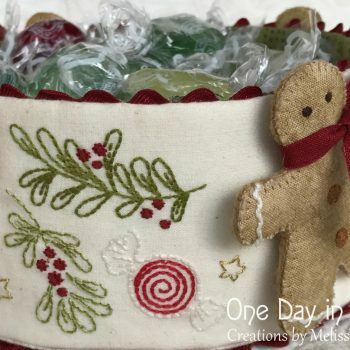 – The “Sweet Treats” gingerbread men are firstly embroidered then fused to felt. 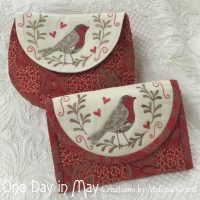 These front pieces are backed with batting and a second piece of felt. 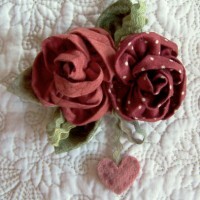 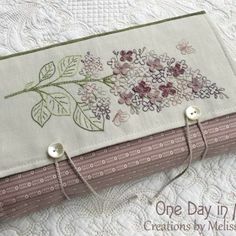 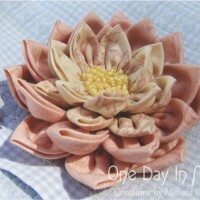 The raw edges are sewn together with blanket stitch. 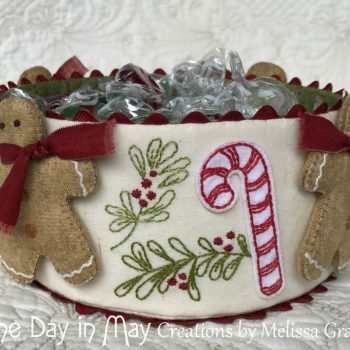 These dimensional gingerbread men are attached to the bowl with just a few stitches, resulting in a unique piece for the festive season. 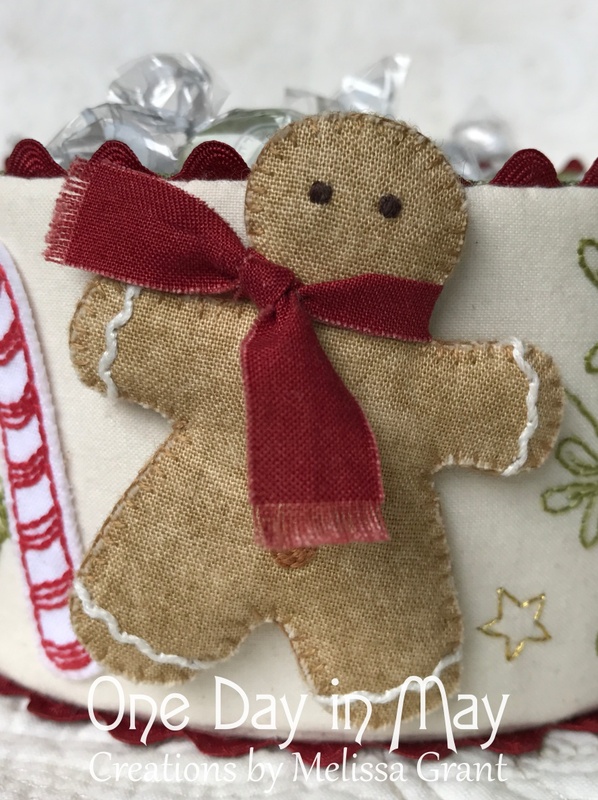 Each gingerbread man is completed with a frayed fabric scarf tied in a simple knot. 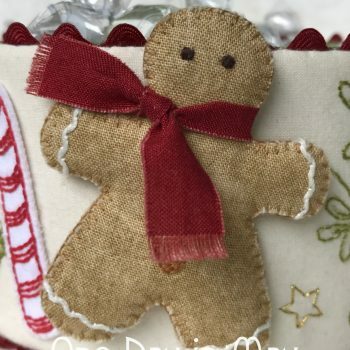 Simply add a cord to the top of the gingerbread men to create individual decorations to hang on your tree. 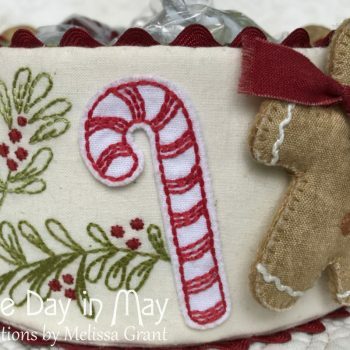 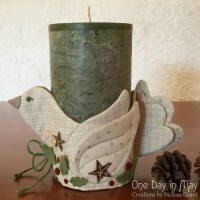 – The candy canes are partly embroidered then fused to a second layer of fabric. 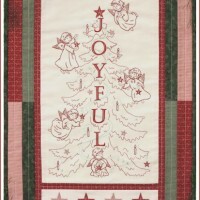 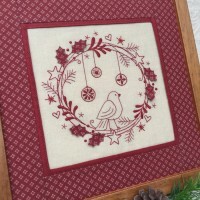 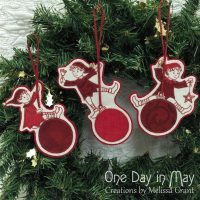 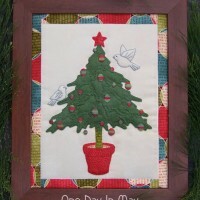 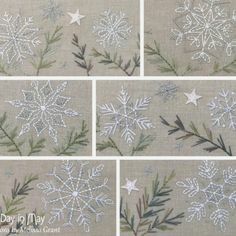 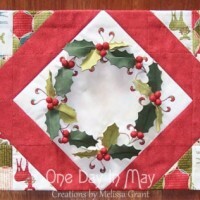 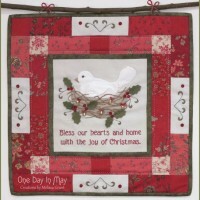 The candy cane shapes are cut out and attached to the background fabric with further embroidery. 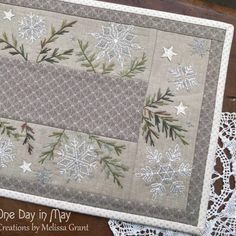 The raw edges are left unstitched, allowing the shapes to sit up from the background a little. 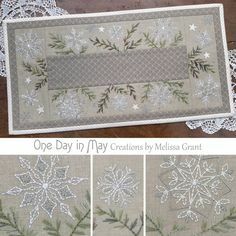 This adds another dimensional quality to the project.